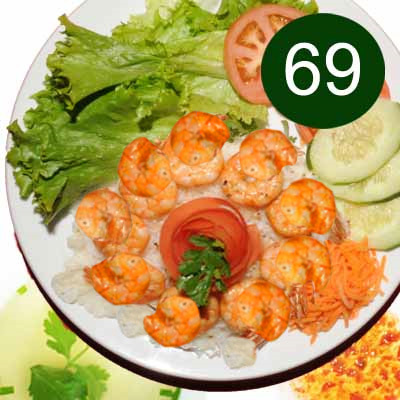 With steamed rice, salad, herbs, cucumber, tomato and carrot. 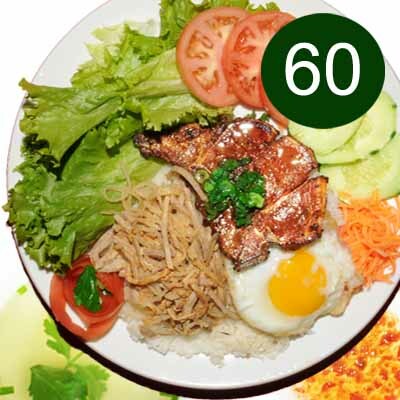 Served with fish sauce and small bowl of chicken broth. 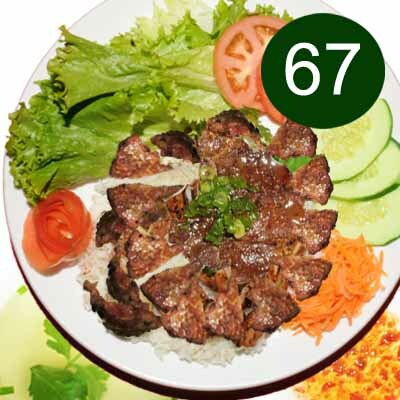 Com Suon Nuong Cha Gio. 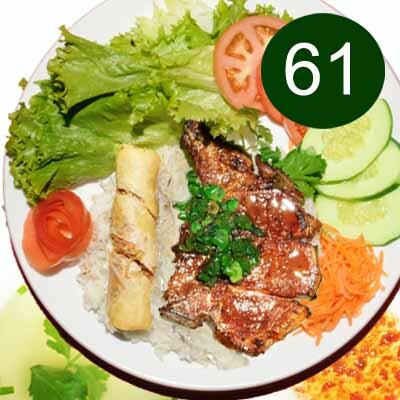 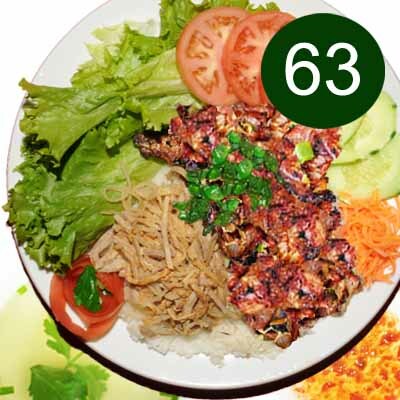 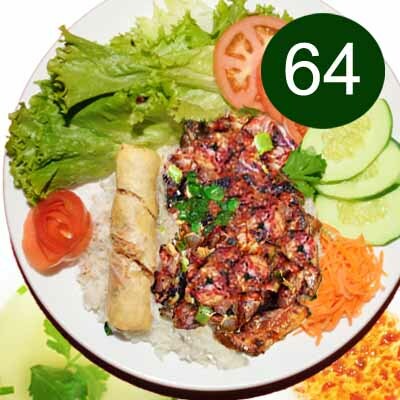 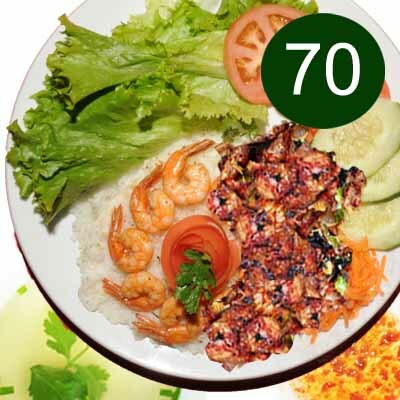 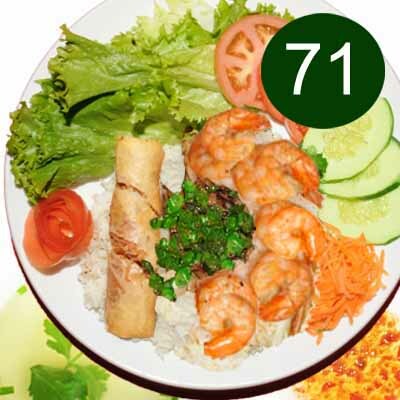 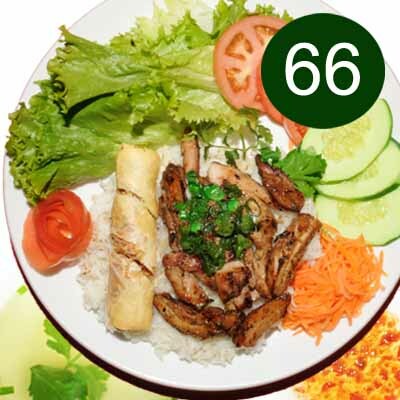 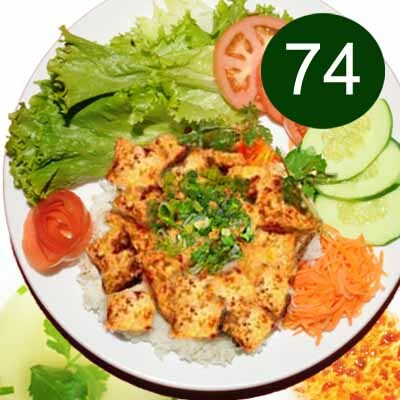 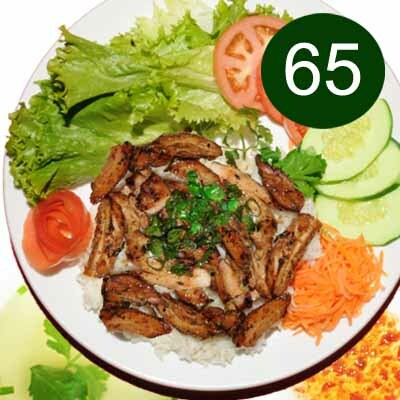 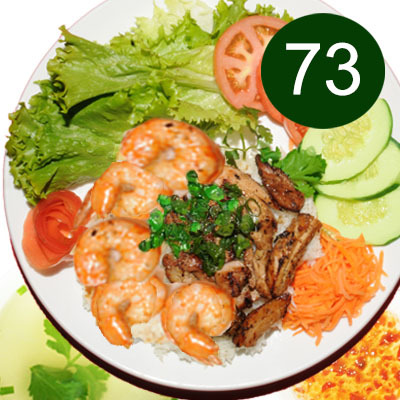 Com Thit Nuong Cha Gio. 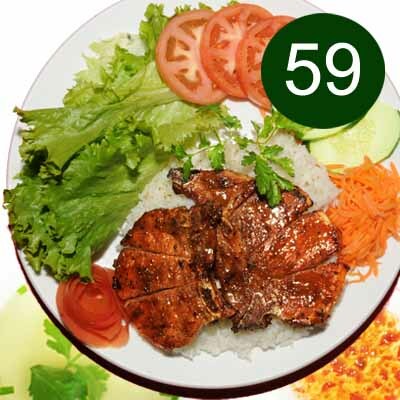 Com Ga Nuong Cha Gio. 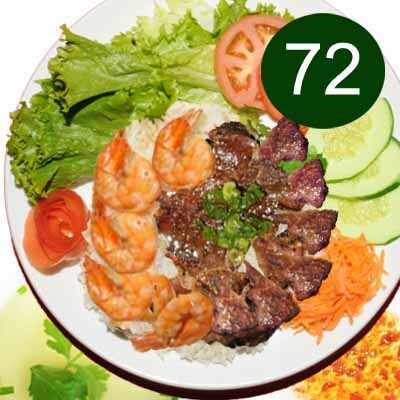 Com Tom Nuong Cha Gio.